To replace or reface: What’s the difference? Refacing or facelifts as they are sometimes called, of existing cabinetry involves removing the doors and hardware and then applying a product to the exposed cabinet frames. Replacing your cabinets is even more straightforward. Old cabinetry and carcases are removed from the kitchen, and brand new kitchen cabinetry is built and installed in its place. Depending on how you choose to replace your cabinets (DIY versus having someone else install them), the process can take one to two days to complete. Refacing is a decent option, but often cabinets built now will not interface with a kitchen built 15 years ago. Nothing beats having brand new cabinetry installed to update the appearance of your kitchen. Unhappy with your current drawer and cabinet scheme which is more than possible from designs years ago then installing new cabinets is the way to go since you can then rearrange the layout to suit your needs. Contrary to popular belief, refacing the cabinets of your kitchen will likely require the knowledge and expertise of a professional cabinet maker and is not an appropriate home improvement project for diy homeowners. 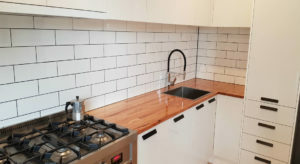 If your existing cabinets are in rough shape, interiors rotting or just too old, refacing them may not be enough to save them or modernise your kitchen area. There’s no question that replacing your who kitchen is a smart investment in your home. Kitchen renovations are one of the best ways to instantly increase the value of your property. With all of these benefits that come with replacing cabinets, why aren’t more homeowners replacing rather than refacing their cabinets? It all comes down to the cost. New cabinetry can cost $20,000 or more for an average sized kitchen, while refacing may only be half the expense. Kitchen cabinets don’t have to come with an astronomical price tag. Strike a balance between the two options and strongly consider a flat-pack kitchen to refresh the look of your kitchen. These kitchens arrive ready to assemble and install, perfect for the DIY homeowner who is looking for a budget-friendly alternative to renewing an old and tired kitchen. Kitchen Shack is a leader in the flat-pack kitchen space and an average size kitchen will only cost you $10,000 or less. 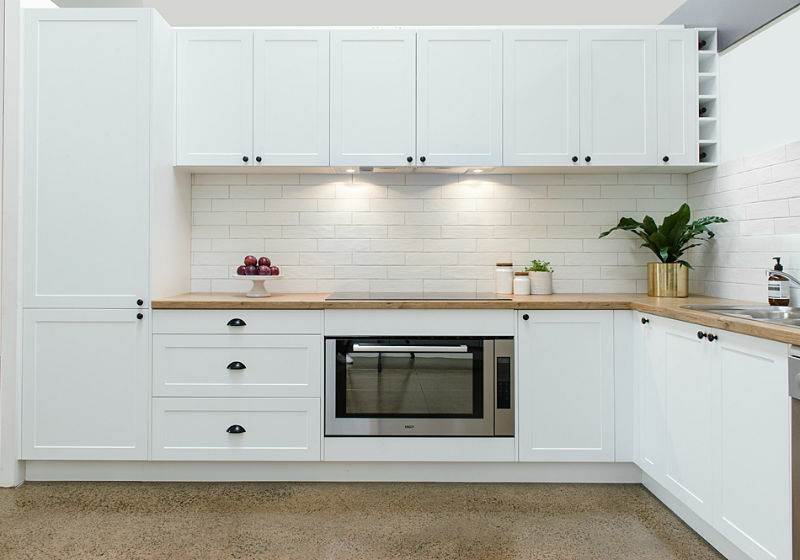 Designed and made right here in Melbourne, we not only supply fully assembled kitchens to homeowners, we offer one-on-one service to make sure that your kitchen project will move forward without a hitch. Get started planning your brand new Melbourne kitchen today! Click here for tips on how to start designing your space, and be sure to use our online form to book an in-store design at any one of our three locations in Maribyrnong, Preston or Kilsyth.